Everybody knows the more eyes that see your content, the better—That’s why it’s so important to craft content that spreads. 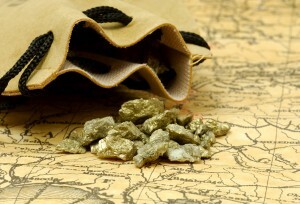 Do you know what makes content shareable? Does your audience regularly pass along your email newsletter? Do they repost your status updates? Are you getting retweets? Knowing the difference between content that’s read and content that spreads is the secret to going viral. 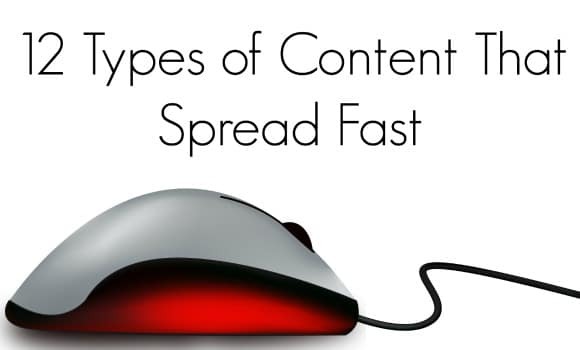 So to give you a leg up, here are the 12 types of content most likely to spread. 1. News: Breaking news is always attention-grabbing, if only because it’s new. People like to feel in the know. So give your readers something worth spreading by announcing a big change or update. 3. Photos: Beautiful, eye-catching, noteworthy photos do well on many forms of social media, from Pinterest to Facebook. In fact, according to some research, Facebook posts with an image generate 120% more response than posts without one. So to maximize your influence, post attractive images readers will want to share. 3. Photos with Text: Sharing a quote is powerful, but sharing a quote as an image is even more so. Overlay attractive photos with text you wish to share to maximize its power. 4. Infographics: Infographics take photos with text to the next level, as they showcase important statistics and/or research in an eye-catching way. Whether your infographic shows the top risk factors for a certain disease or the difference between organic and non-organic produce, if the information is relevant to your audience, they’ll be interested and want to share it. 5. Lists: From “5 tips to improve your golf swing” to “The 12 secrets to saving money on car insurance,” readers like lists. 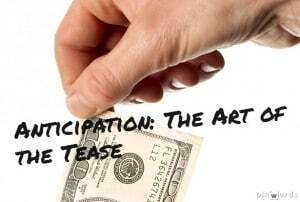 These resources typically attract attention and get shared. 6. How-To Articles: Everybody likes a good “how to” piece so write posts that show your audience, clearly and compellingly, how to do something. When your information helps them, they’ll want to tell their friends. 7. Vulnerable First-Person Stories: If you want to move people to action, touch their hearts. That’s the logic behind the power of vulnerable first-person stories on social media. When someone shares something vulnerable and raw, readers respond—just look at this blogger’s birth story that has over 3,000 comments and counting. 8. Negative Stories: It might seem unfortunate, but it’s true: People are fascinated by bad news. Write about the negative side of a topic, and watch how many people click to read it. 9. Research: Facts and figures are sharable because they’re hard to refute—Nothing proves a point faster than cold, hard data. Share studies and statistics when they’re relevant to what you do, and your audience will be listening and sharing. 10. Video: If there’s one thing YouTube has taught the world, it’s that people love video. The most shareable videos are attractive, thought-provoking, and unique. 11. Problem Solvers: This type of content goes back to knowing your audience: What do your followers need? What problems can you help them solve? When you provide an actual solution to a problem, you can bet they’ll appreciate it—and that they’ll want to spread the word. 12. Posts That Mention Other Bloggers: When you post a roundup of favorite links from across the Web, you do more than give your readers resources—You promote other bloggers who will often, in turn, promote you. Bloggers like to let their readers know where they’re mentioned—so mention them in your content, and they’ll want to pass it around. What do you think? Have you tried all of these content types already? What have you found as a result? Could implementing these ideas help push your content farther into the world? Why not give them a shot? After blogging for a year or two, you likely have a rich library of evergreen content. 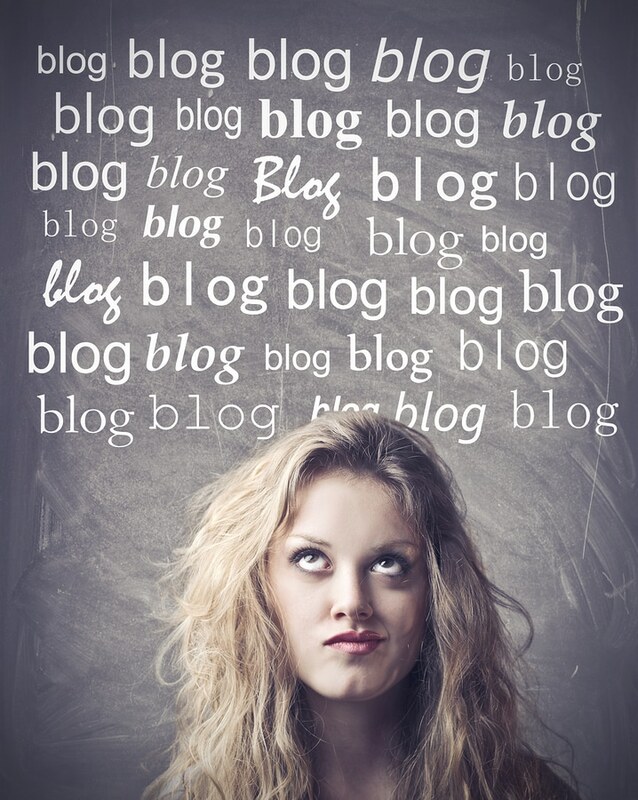 Your blog is just bursting at the seams with these high-quality posts, but what gets the most attention? Whatever you’ve posted most recently. 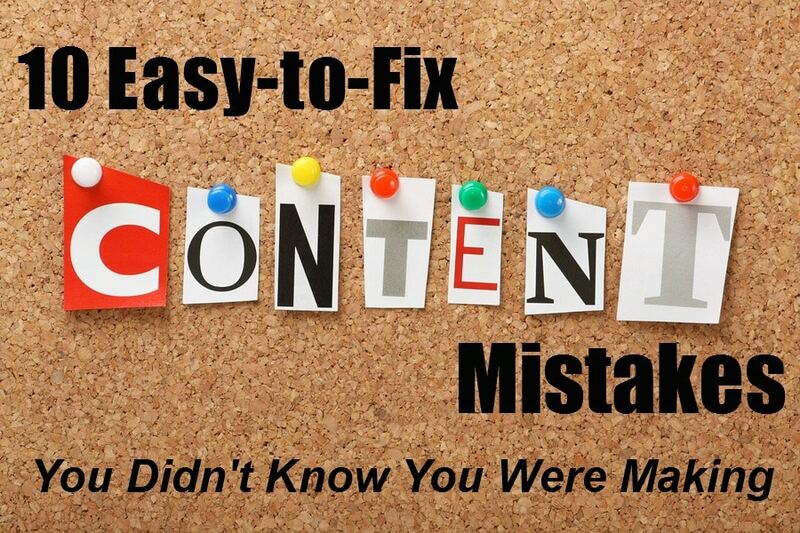 Some of your best content might never see the light of day again. This content is gold. Older blog posts can be absolute treasures, helping you create new content and drive new readers to your blog. You just have to dig it out, dust it off, and repurpose it in the best way possible. Since new content often gets the most attention, maybe it’s time to repurpose some of your old content into brand new posts. I keep a list of the very best posts I’ve ever written, and this is my inspiration bank. Even posts that are timely (i.e., not evergreen) can be part of your bank. What was most popular in the past and why? How can you replicate that success? Think about the topic matters you’ve covered and consider doing an update on them to create a brand new post for readers. For example, let’s say you’re a political blogger. You probably covered the 2012 U.S. Presidential elections pretty closely. A year from now, it probably seems like those posts aren’t relevant – but they are! Posts that discuss candidates’ promises or predictions from yourself and others can be turned into excellent follow-up posts on the topic. You can also use this kind of “updating” technique to produce high-quality guest posts. With guest posts, people are often more likely to visit specific posts you mention in the text rather than a general link in your bio at the end. 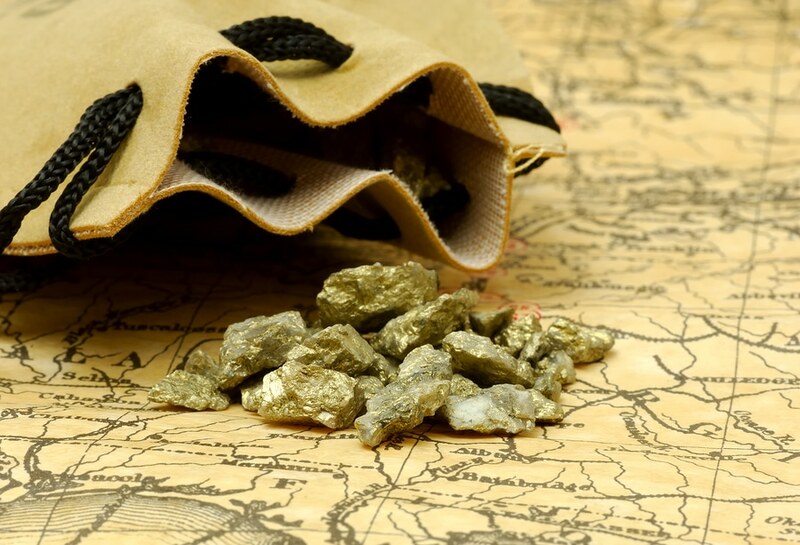 Old content – or should that be gold content – can also be extremely helpful in building your mailing list. Instead of writing a free ebook from scratch, are there post series that could be combined, edited, and formatted into a short ebook to give away in exchange for mailing list sign-ups? Or, you might be able to expand upon a post, breaking down your advice into more detail so you can turn the post into a longer format giveaway. 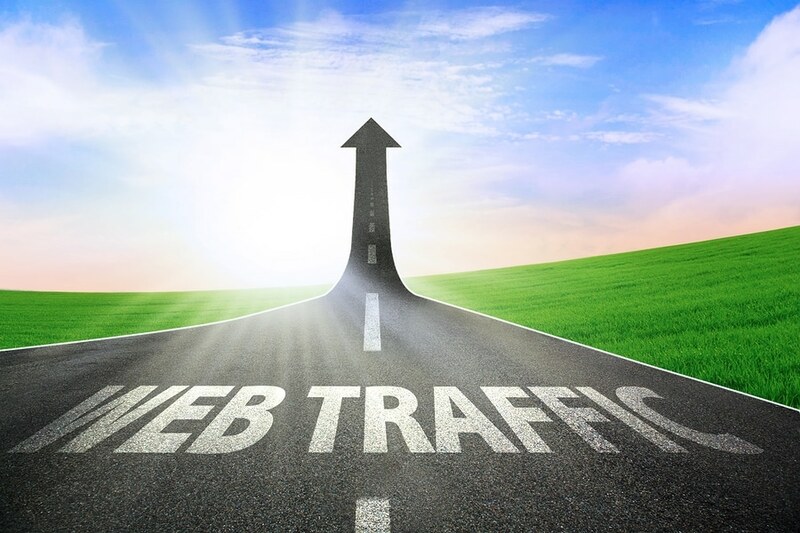 You can also look to see which posts were most popular and then offer a free webinar or e-course on the topic. Use your older posts as a jumping off point for this kind of education. It’s much easier than starting from scratch. When you first published the post, were you active on Pinterest or Google+? If not, share them with these communities. Have you ever shared the post with your mailing list? Maybe it’s time to promote it in one of your newsletters. Was the post shared at a certain time of day? Change things up and share it at a different time of day to hit different time zones. Breathe some new life into that old content! Of course, to have great evergreen content in your library, you have to be adding new evergreen content to your blog regularly. 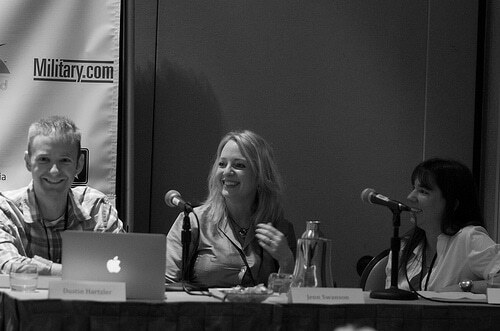 For blog content creation tips, check out our upcoming Blogging Track at NMX in Las Vegas 2013! The problem with free ebooks is that everybody has one. Even when you create high-quality content that you could easily sell, it can be hard to entice readers to download it if they already have ten other recently downloaded ebooks just waiting to be read. So, while it’s important to write an ebook that people want to read, you can also go one step further and make your ebook even more valuable with supplemental content and special features. I’ve written several ebooks, including The Ultimate Guide to Marketing Your Blog, Podcast, and Videos with Pinterest and The Ultimate Guide to Blog and Podcast Sponsorship for NMX and numerous other ebooks for my own websites and for clients. 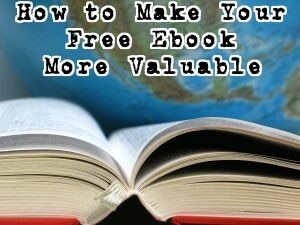 Let’s take a look at what I’ve learned about making free ebooks more valuable. Not everyone has the time (or makes the time) to read a 100-page ebook, even if the information is extremely valuable. Some people instead prefer video (or audio), and since fewer people are creating video resources, you can really stand out from the crowd by creating them. A good example is this video series about podcast sponsorship we created in conjunction with our ebook about sponsorship. If you aren’t comfortable being on camera, consider creating a video using this scribing technique or even a simple voice over. You can also make use of video others have put online by finding videos related to your topic and compiling them into one playlist. You have less content control this way, but it’s an option that allows you to present video without actually creating video yourself. People like to be able to take action after reading an ebook or guide, so giving your readers a way to easily do that is a great added resource to your ebook. This can be in the form of a checklist or workbook. You’ll want to make them easily printable, leaving space for your readers to write if they’d like to do so. The point is to give your readers guidance with really actionable steps that they can check off their lists so they’re implementing what you talked about in your ebook. This doesn’t necessarily have to be in the form of a printable. Another example is this five-part Pinterest series that outlines specific steps to take over the course of five days. The point of any free product for your readers is to follow it up with something that benefits you, like a paid product. However, if you’re going to follow up the gift with a hard sell, make sure your paid product makes sense. I don’t want to download your ebook about email marketing and then have you try to sell me an ebook about editing podcasts. Those two things aren’t really related. Instead, if you get me to download your ebook about email marketing, follow it up with a paid e-course that goes into further detail about the topic. That’s something that I’ll be more willing to buy if I enjoyed your free ebook. How often have you heard people say one of the above phrases or another version that essentially boils down to the need for high-quality blog posts if you want to succeed as a blogger? The word quality is throw around more often than any other, and justifiably so. I fully agree with the advice that, as a blogger, you will live or die by the quality of your content. One of the main problems I see in blogging world right now is that few people actually define what constitutes quality content. 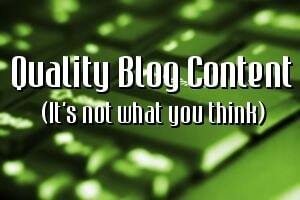 So let me ask right now: What is quality blog content? I personally don’t think there is a single, all-encompassing answer, but if you aren’t asking yourself that question, I wonder: how can you honestly be providing true, quality content? Quality content is written artistically and with care. Quality content is original and interesting. That’s my knee-jerk reaction…but I’m not sure it’s correct. At least not entirely. If your blog needs quality content to be successful, and quality content is well-researched, artistic, created with care, original, and interesting, I have to ask: Why are there so many popular blogs online that do not have any of these characteristics? I’d like to suggest that quality is not the same online as it is in the print media world. In fact, I think the definition of content quality online is still evolving. So if quality isn’t any of those things I’ve listed, what is quality content? I’d like to suggest that quality content is this: Content created that will help you reach your overall blogging goal. Promote a cause or idea? Any of these are justified goals, and most bloggers will point to more than one. But what’s your one general, most important goal? In order to create quality content, everything you write has to be created with that one goal in mind. To illustrate how this works, I’m going to use two very different blogs as an example. The first is celebrity gossip blog TMZ, and the second is social media blog Social Media Examiner. 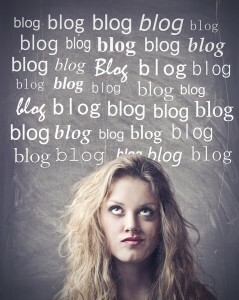 Very different blogs, right? But in their respective niches, they are both extremely popular. TMZ’s goal is to entertain readers. You don’t go to TMZ for education, and they aren’t really trying to sell anything. Readers visit TMZ as a guilty pleasure, to pass the time, and to satisfy the natural curiosity we have to know how celebrities live. Social Media Examiner isn’t about entertaining readers. This site is all about education. 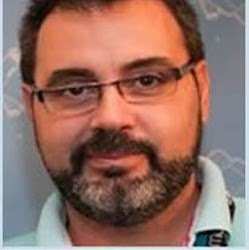 Yes, they sell products, and I’m sure they certainly want to be seen as experts in the social media field, but overall, this site is about educating their community. Forget about niche, if you put content from TMZ on Social Media Examiner, readers will absolutely not think it is quality. The opposite is true as well. TMZ readers would not be happy if they started blogging in the same style as Social Media Examiner. To everyone reading this post, the choice may seem simple: You’ll take Social Media Examiner over TMZ any day, am I right? But we’re an insular community in many respects, and what we like isn’t necessarily what others like. A lot of people use the Internet not for work, but for relaxing when they get home. The last thing they want to read online is educational content. They want fun. To them, Social Media Examiner may seem extremely low quality because the posts are long and boring. In other words, quality is subjective. It’s important to remember that why you’re throwing around advice that writing quality content is important. What’s quality in one niche or even to one blogger might be drastically different in another niche or to another blogger. So before you point to someone and say, “You content is not quality” and more importantly before you give advice about how to create quality content, it’s important to step back and ask whether or not the content is aligned with the goal of the blog.